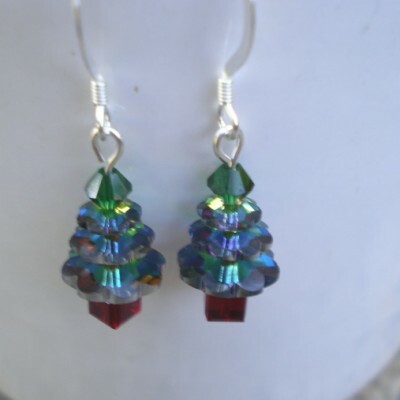 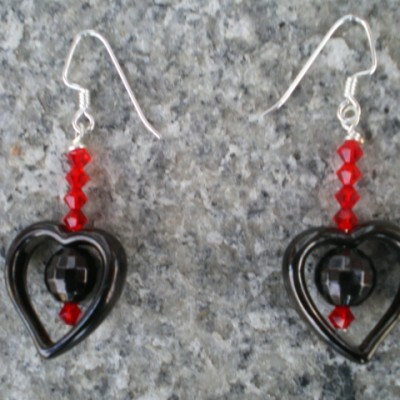 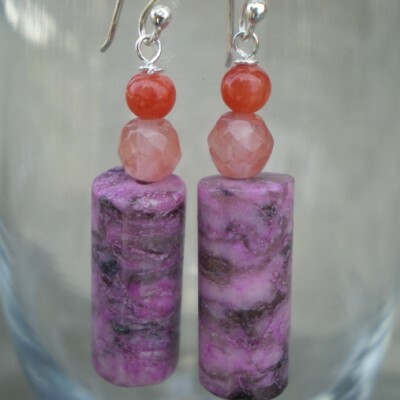 4 3/4″ long earrings. 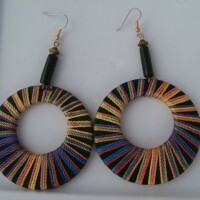 Black wood circle adorned with multicolored cotton threads, black wood tubular bead. Hypoallergenic ear wires. 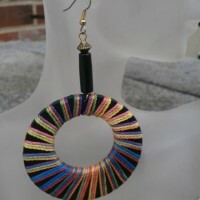 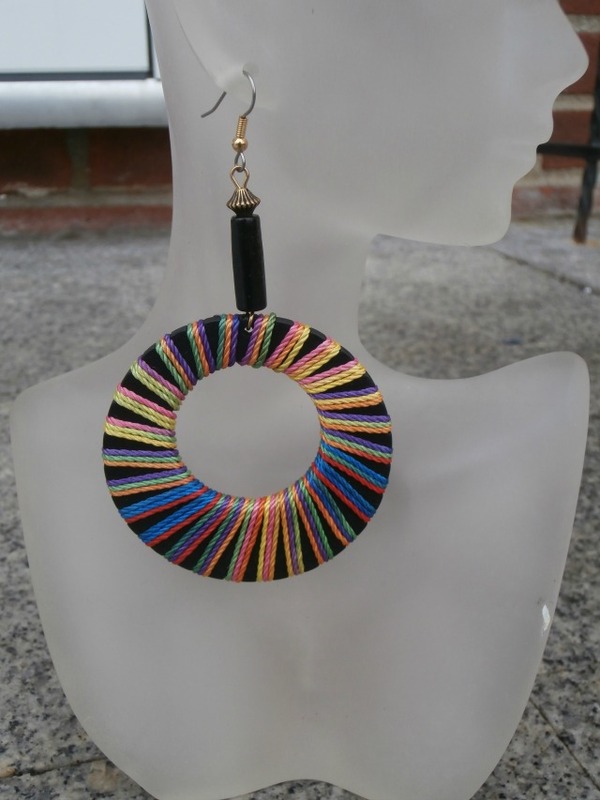 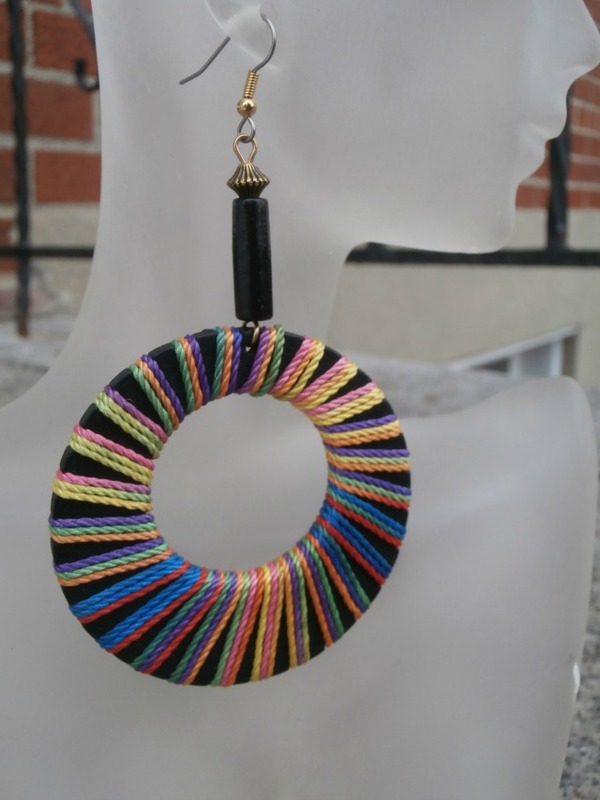 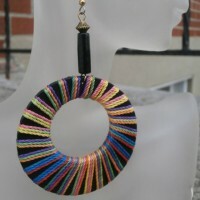 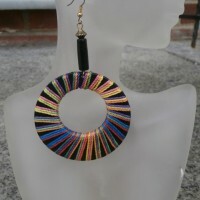 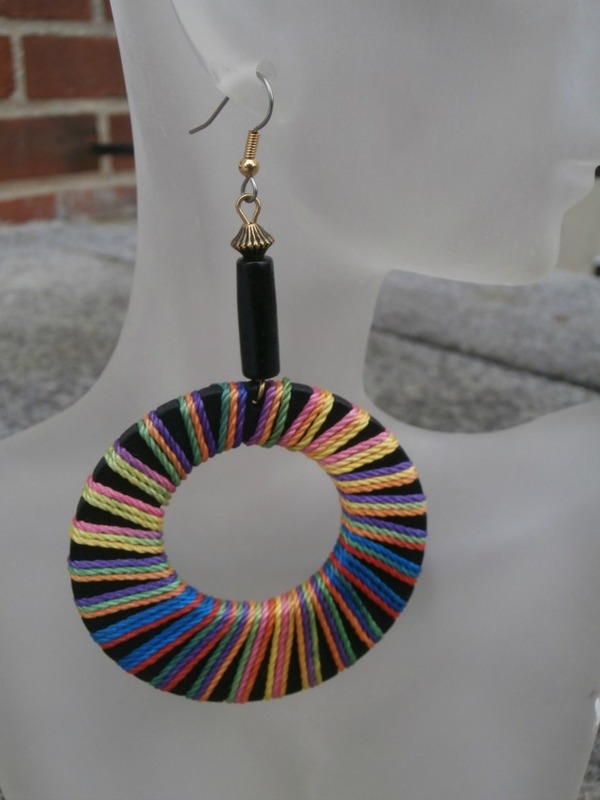 Bold and funky earrings. 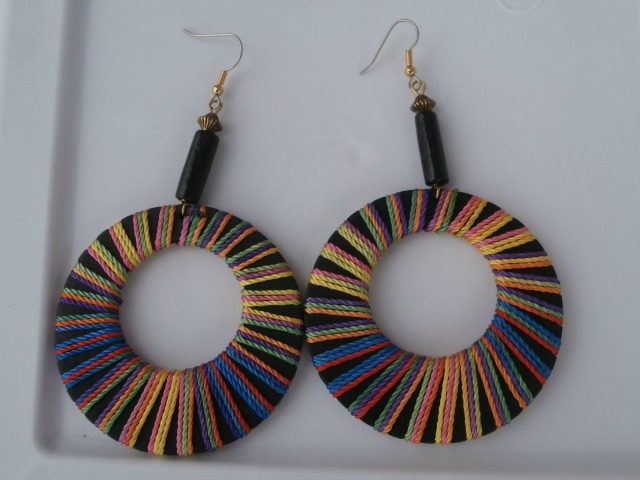 Be the first to review “Wood and multi thread earrings” Click here to cancel reply.